This Grammar Games Set 3 Bundle includes 10 games to help your students get the grammar practice they need! 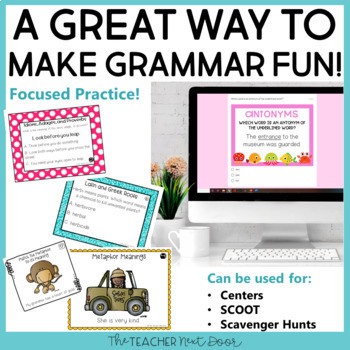 These 10 grammar games for 5th grade are engaging and come in a variety of formats which are perfect for centers, whole class games, one on one, and more! 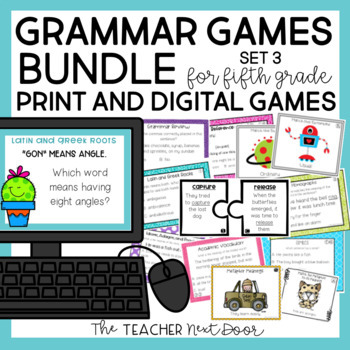 SAVE MORE and GET MORE with the 30 Grammar Games Bundle for 5th Grade!!! (Click Here). This bundle covers ALL 5th Grade GRAMMAR STANDARDS! The grammar games are carefully aligned to cover ALL 5th grade GRAMMAR STANDARDS! 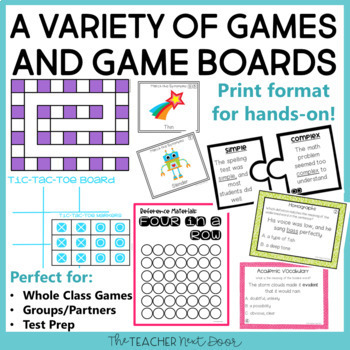 Each game gives your students concentrated practice in a format that seems more fun than traditional grammar worksheets. 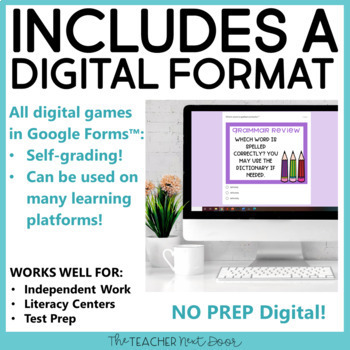 Your students will enjoy playing these games! The games come in a variety of formats from board games, puzzles, tic-tac-toe, Four in a Row, BUMP, and more! There are so many ways to use the games from literacy centers, whole class game times, one on one work, exit slips, test prep, and more!!! Looking for more 5th grade resources?